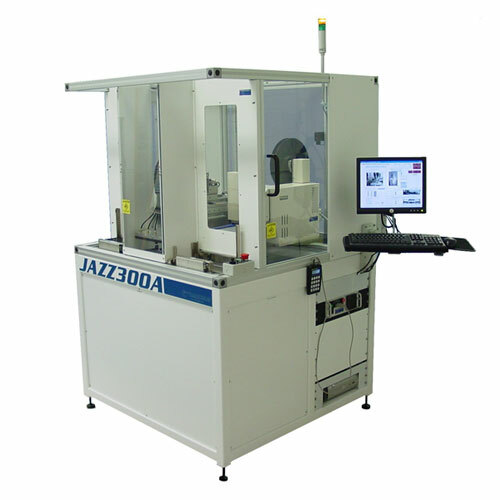 The JAZZ300A is a version of our configurable automation platform specifically designed to process components that are supplied in JEDEC Trays. The JAZZ 300A includes a Tray Handler system that provides Input and Output stack capacity for 20 Trays. The JAZZ 300A also features an XY Servo Table with travels of approximately 300 x 300mm and one or more Applicator units. The Applicators can include PL100r, PL100i, PL165r, and PL165r units. In addition to this standard equipment NSI can provide specialized Vacuum Transfer systems to remove product from JEDEC Trays and replace them there after processing. Options for the JAZZ 300A include the ServoTamp for very high-speed placement.